Beautiful Custom Home On 1 Acre Inground Bbq For Big Game . Gilbert was an excellent host and his home was fantastic! 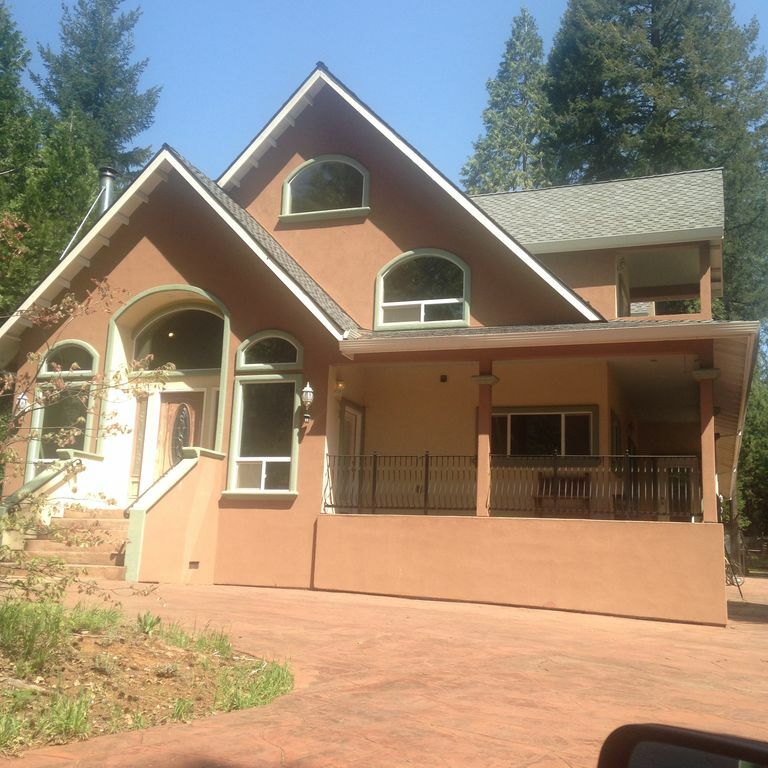 Large house that’s well designed for a large group with a great property as well. We will certainly stay here again when we’re in the Forest Hill area. This property had a fantastic floor plan with three bedrooms downstairs including the master. The other two bedrooms were upstairs off a huge bonus room. The kitchen was huge with lots of seating and many upgrades thru out the house. The master bedroom and bathroom was something out of "Sunset magazine". We couldnt believe how huge the bathroom was with a jacuzzi tub and huge walk in shower with multiple shower heads. There were several balconies overlooking a very private rear and side yard. This beautiful home had lots of privacy and was everything we were looking for! It was perfect for our Christmas vacation and we will have many great memories of the 4 days we stayed here. Large, spacious home, great for my family! Home is set back in a very quiet neighborhood, you feel secluded. Just a heads up- GPS will not take you the right way once you get into Foresthill, so when you book, make sure to ask owner for directions. There were 9 of us together for Thanksgiving week, and we were all very comfortable with room to spare. It was raining our entire stay otherwise we would have gone for walks to explore historic Foresthill. The home does include everything, so all anyone needs to bring is food, clothes, and toiletries. There is a pool table, but we only found one beat up cue stick. Luckily for us, my brother-in-law brought his set of sticks, so we were able to play. There is a gas fireplace that unfortunately does not work, but the heating system in the house works fine. Hot tub is broken, hopefully that will change for future guests, especially for the summer. Jon our host was so nice and very easy to reach when we had any questions. I definitely would recommend this home to any group wanting a nice quiet getaway. This house was very nice, lots of upgrades in this home. It was very comfortable, master suite shower was great. Owner needs to improve lighting for the entrance. existing lights not enough during nighttime, the advertisement of fireplaces and hot tub sounded great , but sadly were not in working condition. should be remove from available amenities. Bedding on all beds should be replaced all looked well worn. This house was ideal for my girls and I to stay in for my sisters out of town wedding. Had no issues at all, a pleasure staying here. Plenty of room and the girls and l loved the upstairs game room. The setting and view are amazing, I would recommend this house to anyone interested in a mountain retreat. Home was very attractive and accommodating and fitted our needs perfectly.